Fly Casino :: NEW Online Casino - PLAY NOW! Fly Casino is a new player on the online casino scene but looks set to be one of the industry’s major players in the not too distant future. Owned and operated by Peak Interactive N.V – the owner and operator of the award winning Omni Casino – Fly Casino is backed up by 16 years worth of experience of the online gaming market which should ensure that it is an overwhelming success. Fly Casino is supported by software from Playtech, the world leader in online gaming software, and is licensed by the government of Curacao. Members can choose to game with Fly Casino using instant play or downloadable software which they can then access from their desktop. 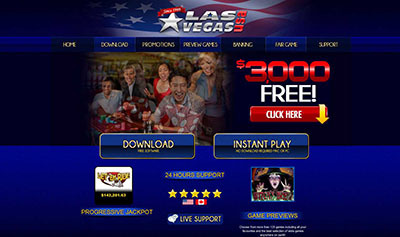 Should new members opt to download Fly Casino, the whole process will take around five to 10 minutes depending on the speed of their internet connection. The website provides step-by-step instructions on how to download and install the software. When a new member makes their initial deposit, they will be rewarded with a welcome bonus worth 110%. For example, if you make a first deposit of $/£/€50, Fly Casino will give you another $/£/€55 for a total bankroll of $/£/€105. Fly Casino also offers a second deposit bonus of 50% up to a total of $/£/€200 and incredibly a third deposit bonus of between 100-150% up to a maximum of $/£/€166. There are another of other bonuses available to members including a high roller bonus and a Sunday bonus. Fly Casino has a comprehensive rewards programme known simply as Fly VIP Rewards. New members are automatically entered into the rewards scheme the moment they sign up and earn Fly rewards through gaming. The VIP club has four levels – simply known as 1, 2, 3 and 4 – and members progress up the rungs by gaming at Fly Casino. The higher a player’s level, the better the rewards. Fly Casino has more than 160 games in its catalogue. They are split up into five categories: card games, video poker, Marvel slots, table games and slots. Card games include all the casino classics such as blackjack, baccarat, Texas Hold ‘em poker among others, while table games is where you will find a variety of roulettes, craps and sic bo. 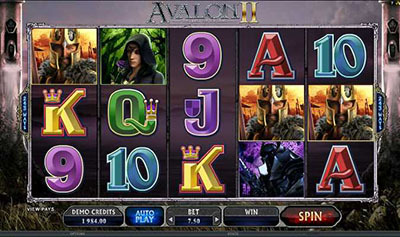 The Marvel slots including the Incredible Hulk, X-Men and the Fantastic Four are renowned among the online gaming community for their excellent graphics, game play and sound and bring some of the most popular comic characters to life. Fly Casino affords members an impressive 29 different ways to deposit funds into their accounts and some 26 ways to withdraw funds. Options include credit and debit cards, bank transfers, Instadebit, WebMoney and e-wallets such as Skrill and Click2Pay. Most methods deposit funds into your Fly Casino account instantly but some can take up to three days. Members can deposit funds in the following currencies: USD, EURO, GBP, CAN, AUD, ZAR and YEN. Fly Casino offers round-the-clock support to its members and can be contacted via email, fax, phone and through a live chat feature. Fly Casino has specific email addresses for specific support to help members more efficiently and also has a comprehensive FAQ section. Playtech Games Give Away Over GBP1.2M to Jackpot Winners!